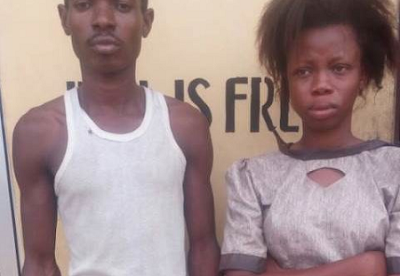 The Ogun state Police Command has arrested one Tohebat Adebayo for simulating own kidnap in conspiracy with her boyfriend, Afolabi Ogunremi ( 30). Tohebat, 20, was said to have stage managed her abduction ostensibly to raise N200, 000 and fund her forthcoming birth day bash. “The discovery led to the arrest of Adebayo who happened to be the security man in the house. “On interrogation, Adebayo claimed to be the boyfriend of the girl and that they both planned to simulate her kidnap in order to raise money for her forthcoming Birthday from the parents,” Abimbola said. According the Police Image Maker in the state, the commissioner of police, Ahmed iliyasu, has ordered that the case be transferred to the Command’s anti-kidnapping and cultists for further investigation.